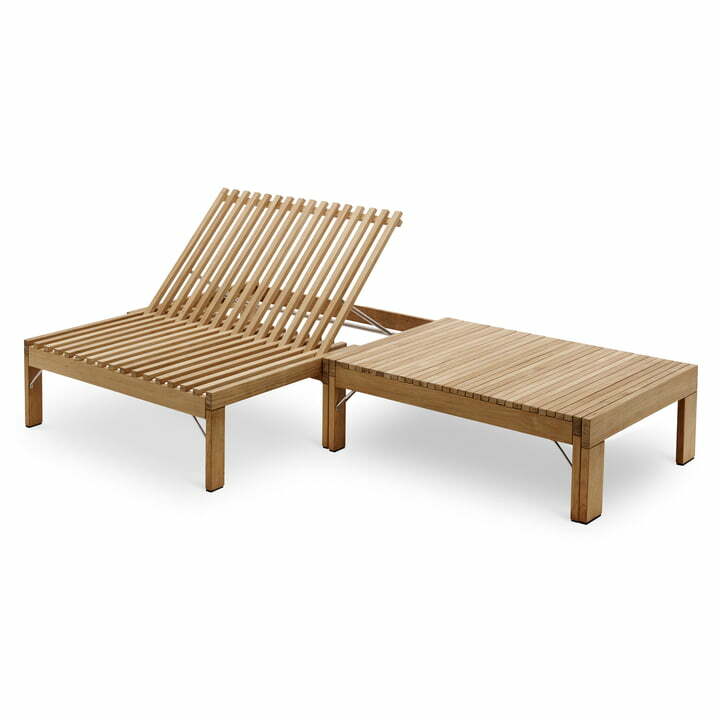 The Riviera lounge was developed after the eponymous Riviera sunbed by Skagerak. The Riviera lounge has an expandable width, instead of length, to become an unusual piece of lounge furniture for the outside. The expandable side makes the lounge by Skagerak suitable to be used as sunbed, as seat for several people, as side table or as a kind of outdoor sofa. Skagerak produces the Riviera lounge out of teak wood. Teak has a high amount of naturally impregnated oils. That makes it very resistant against stain and fungal infestation and it is an ideal material for furniture used outside of the house.